The superbly named SoundCannon Turret-I is an affordable, award-winning (iF Design Award) portable Bluetooth speaker, with a range of more than 30 feet and built-in mic for hand-free calls. Crisp sounds are delivered courtesy of the five-watt loudspeaker while the rechargeable battery’s good for up to seven hours. Get it in white or black. 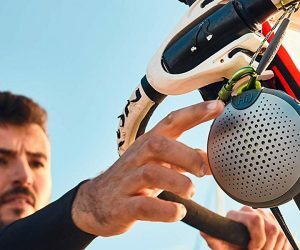 The awesome, Amazon Alexa approved Aquablaster is a waterproof portable speaker with an in-built mic that delivers impressive sound thanks to an eight-watt driver with a powerful passive sub bass. 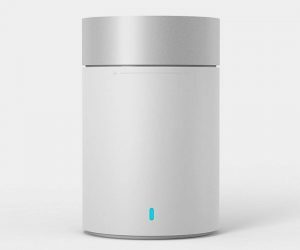 Enjoy Alexa at a touch and play/pause functionality in a choice of three funky colorways. Connect via the Boompods app and take it absolutely anywhere you please. 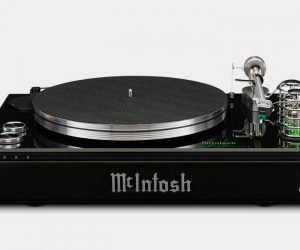 Beautifully bending the old school with the new, the McIntosh MTI100 is a turntable truly for the 21st century. Musos are able to dust off their old vinyls while savoring the likes of a subwoofer, stereo sound and Bluetooth. Some seriously state-of-the-art additions like a vacuum tube preamplifier will inject new life into those classic records. 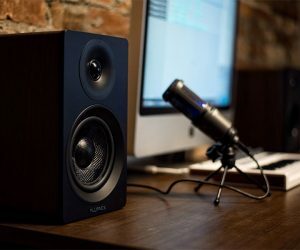 No matter what your preferred musical genre, the Fluance Ai40 enables you to enjoy it in its most gloriously pure form as the rich sound fills every corner of the room. The powerful bookshelf 2.0 active speakers can be paired with everything from a TV to a turntable and are Bluetooth-enabled and boast beautiful wood casing around silk soft-dome tweeters and woven, glass fiber drivers. 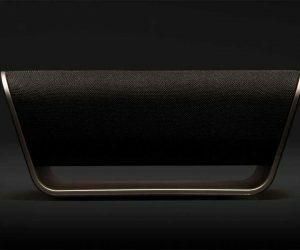 The cineplexes aren’t going to like this offering, the Polk Audio Sound Bar merges Polk sound with built-in Dolby and DTS surround for a truly cinematic home experience via a wireless subwoofer. 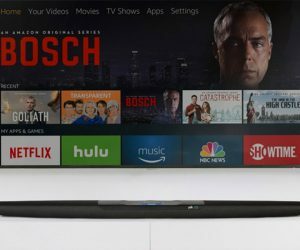 Add to that heaps of streaming capabilities, voice control, Alexa and 4K, and HD TV compatibility and you’ve got yourself some serious entertainment enhancing equipment.